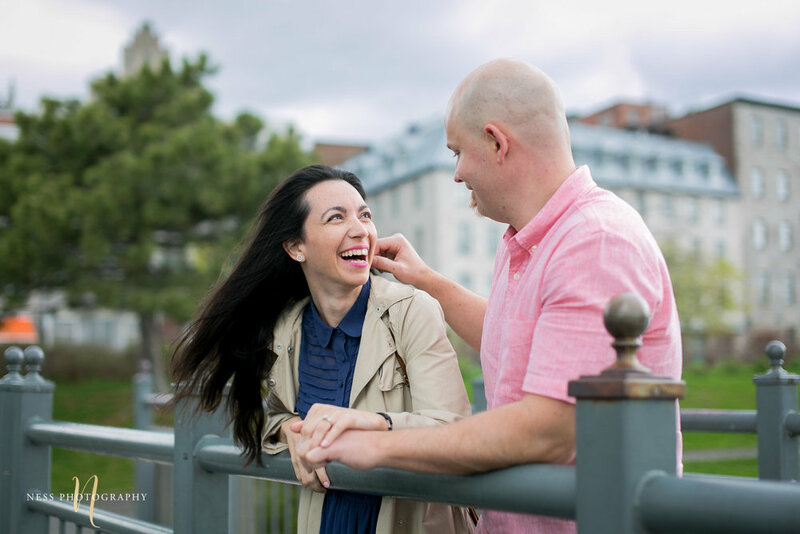 Before every engagement photoshoot, I ask the couple to choose a location and a theme that reflects their personality and represents what they would do on a usual Sunday. Some would choose to eat out in a restaurant, some choose a mountain hiking excursion. 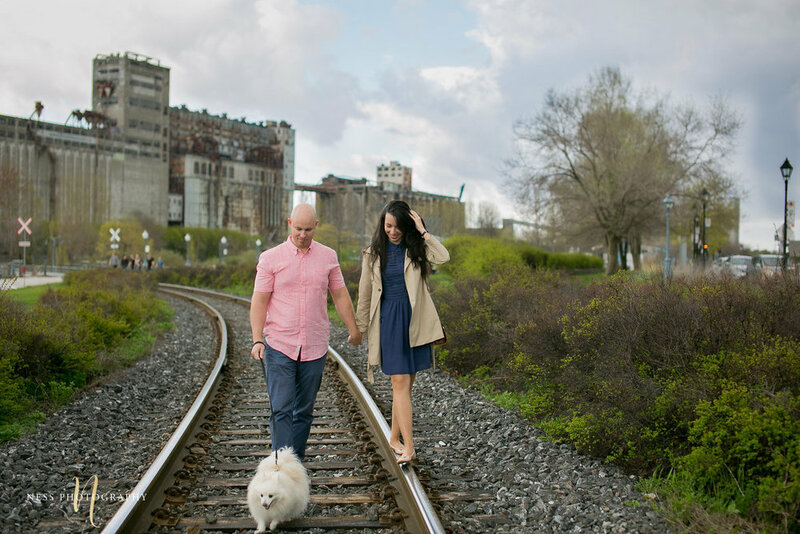 Dan and Adelina's typical Sunday is a stroll in the old port with their cute fluffy white Pomeranian doggy. So this is what we decided to do for their engagement photoshoot. 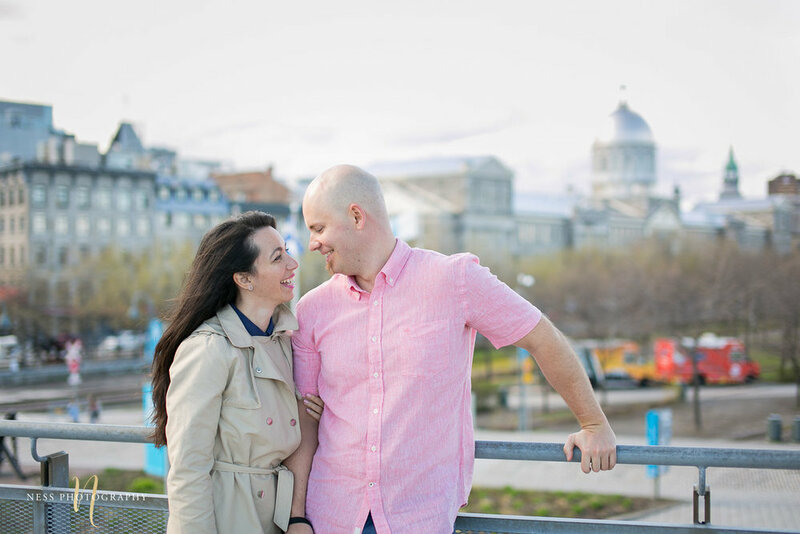 The week of the shoot we had a lot of rain in Montreal and almost canceled the shoot, but the morning of, the sky started clearing out and the lovely couple braved the grey clouds and showed out in bright colors that made us all forget about the spring weather. We enjoyed the stroll in the streets of the old port and even took snack breaks. The day of the shoot was Montreal Croissant Festival and since Adelina and Dan love French bakeries we stopped by Maison Christian Faure , one of the best bakeries in Montreal, for some fresh croissants. 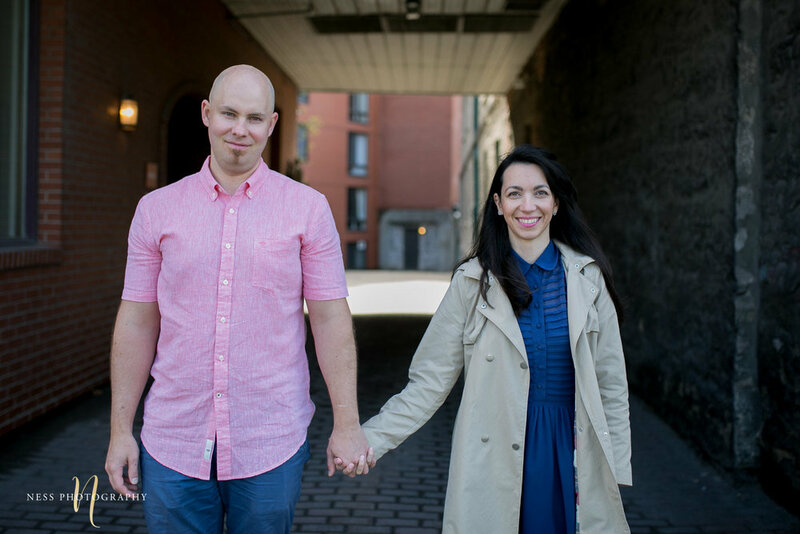 Old Montreal has a plathora of amazing buildings and everytime I go there either for an engagement shoot, wedding bridal shoot or even family session I ended up discovering new photo worthy spots. 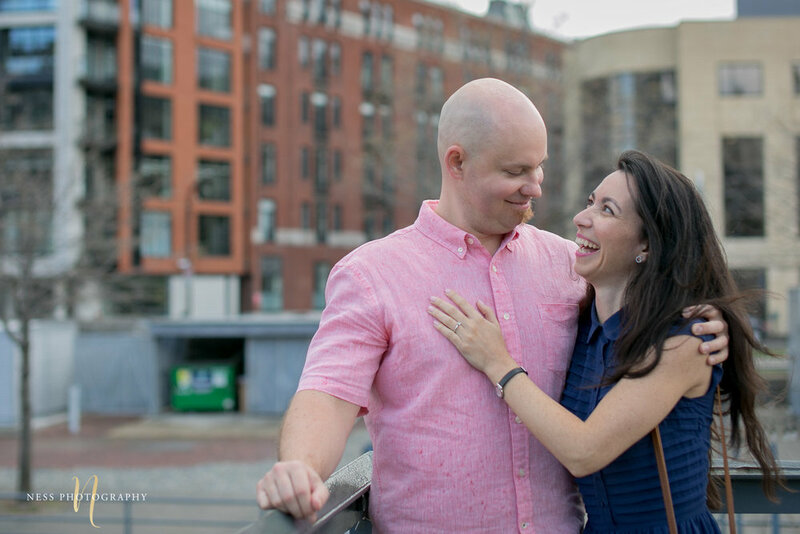 This time was not an exception, we had amazing backgrounds with the beautiful buildings, waterfronts and little city parks. we even took the time to go upstairs of Marche des Eclusiers for a unique view of Old Port silo No 5. 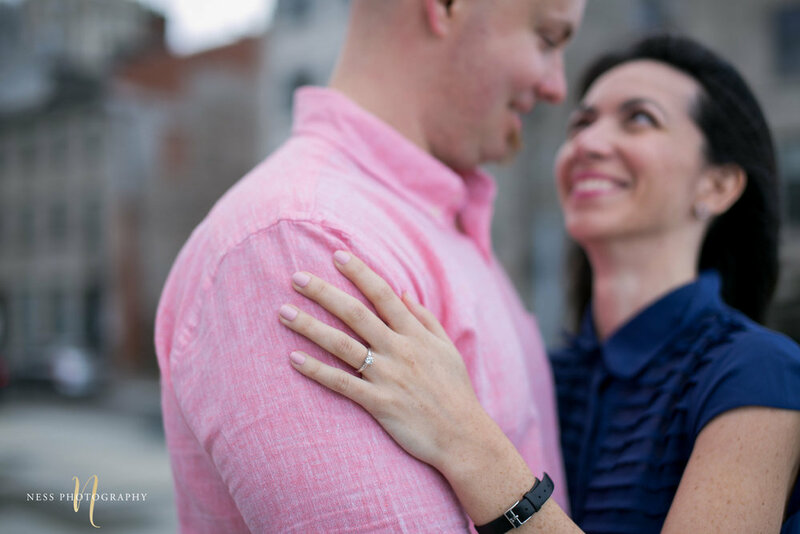 I had fun photographing Adelina and Dan's engagement session and will be looking forward to create some more memorable photos as their wedding photographer.